MailerMailer's 12th Edition Email Marketing Metrics Report closely examines statistics of over 1.2 billion opt-in email newsletters and provides informative tips to improve email campaign effectiveness. Emails sent before and after work hours got more clicks than those sent during work hours. MailerMailer releases its 12th edition Email Marketing Metrics Report which highlights current trends, statistics, and benchmarks in email marketing. Compiled from over 1.2 billion opt-in email newsletters, the report examines 80,000 newsletter campaigns sent between January 1, 2011 and December 31, 2011 and spans 19 industries. In addition to compelling statistics, the metrics report offers valuable tips to help improve email campaign effectiveness. The report covers a full audit of all the various metrics that can affect an email campaign's overall performance. 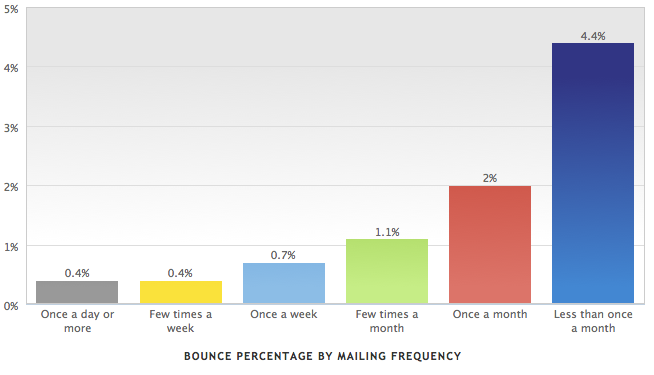 Metrics such as open, click, and bounce rates are measured and cross-sectioned with email list size, scheduling, personalization, and subject lines. All of the findings are brilliantly illustrated using colorful, interactive charts to help deliver a more granular look at the informative metrics. "Organizations can use this free report to adjust their email marketing strategy to get a higher response," says CEO of MailerMailer Raj Khera. "For example, we found that people click on emails at a higher rate before and after work hours than they do during work hours." 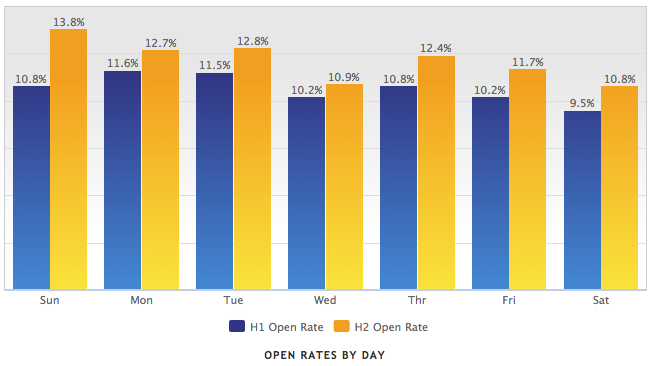 This type of data gives email marketers the confidence to try sending their email messages during non-business hours in order to generate higher opens and clicks. 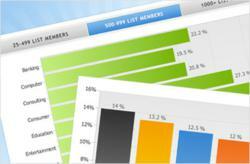 MailerMailer is an award-winning do-it-yourself email marketing and list management provider. Featuring the latest email marketing technology, such as zip code radius targeting, image hosting and fetch HTML from website feature, MailerMailer allows easy creation of professional email newsletters and campaigns. A free trial of this email newsletter service is available at http://www.mailermailer.com. MailerMailer also powers Presstacular.com, a next generation email marketing tool which includes a library of technology articles that IT consulting companies can use and edit to create their newsletters in minutes. This saves time, money and results in high client engagement. MailerMailer's Annual Email Marketing Metrics Report is an online, interactive report that illustrates current industry benchmarks, email marketing statistics and relevant industry trends. Using data collected for an entire year, the report provides benchmark statistics on click, open, and bounce rates among other valuable metrics. Since it was first produced in 2004, the Metrics Report has been recognized and awarded by several prominent organizations including, the Communicator Award, Magnum Opus, Apex and The American Business Awards who honored MailerMailer with a Stevies Award in 2011.